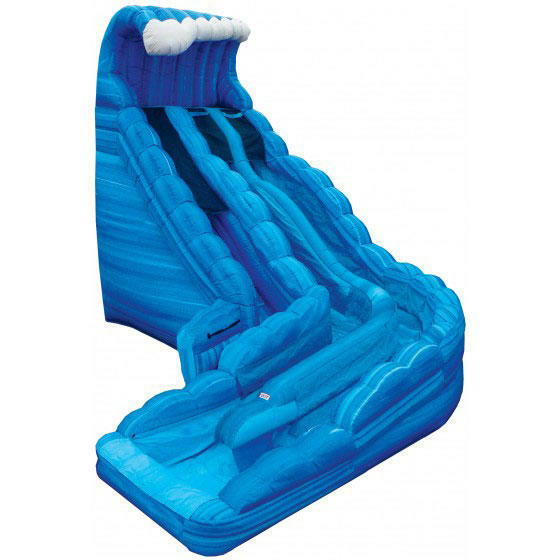 Rent Monster Wave Water Slides! 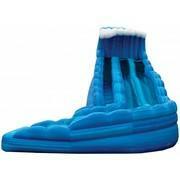 The Monster Wave Water Slides is a great choice for a party rental in Austin. This Water Slides has a unique look with it's curved slide making it the perfect centerpiece attraction for your event. The slide has dual slide lanes and an easy access front climb to the top with "No-Jump" protection at the top of the slide to protect young guests.